NYCC: Nick Fury Jr. 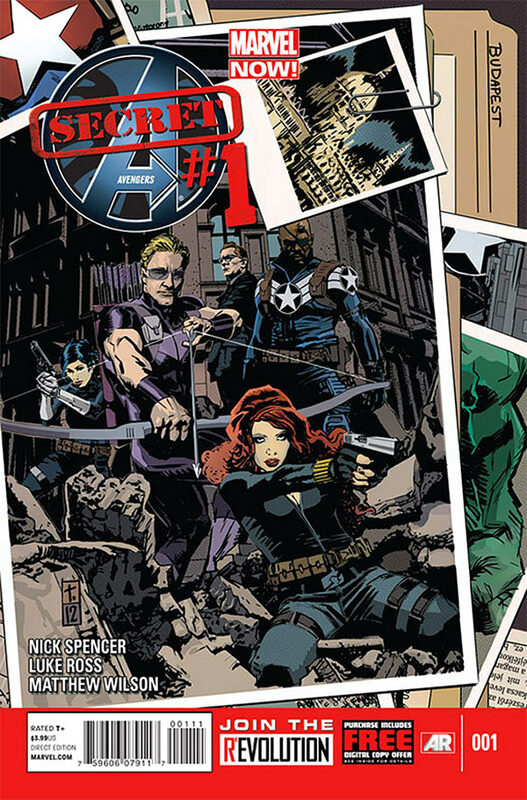 Joins the Secret Avengers! Nick Fury Jr. and the Secret Avengers! The new S.H.I.E.L.D.-sanctioned team spins out of a plot point of Brian Michael Bendis’ “Secret War,” where many Marvel heroes were implanted with memory-modifying tech. The roster will include Hawkeye, Black Widow, Mockingbird, Taskmaster, Hulk, a brand-new Iron Patriot and Marcus Johnson aka Nick Fury Jr (learn all about him here). Since the book will be SHEILD focused it’s a pretty good bet that Marcus/Nick will be leading this team. For those unfamiliar with Nick Fury Jr./Marcus Johnson he made his debut in the Battlescars series (Read our review of the first issue here) earlier in the year. I’m very much interested in how this book will be executed and how Marcus will defer from his dad…if any. ← Valiant: Reissues Quantum and Woody!